A WINTER WEDDING was wonderful! Brenda Novak’s entire Whiskey Creek series is a must-read for me. Love this group of friends in the small community Novak has created. Kyle is one of the last to remain single. He gave his heart a long time ago to Olivia, but she loves and is married to his step-brother Brandon all because of a mistake he made with her sister Noelle. But now Kyle finally gets his story, finds love in the most unexpected person and can be free of Noelle. In the previous books he is such a great guy, always there for his friends, successful in his business, but heartbroken. Lourdes, a successful and well-known country music star needs a quiet out of the way place to regroup and write her next album. She rents Kyle’s cottage, but when the heat doesn’t work, she moves in with him temporarily. She’s had some heartbreak of her own and finds peace with the handsome, kind and giving man. These two find their selves attracted to one another, despite their belief their hearts belong to someone else. 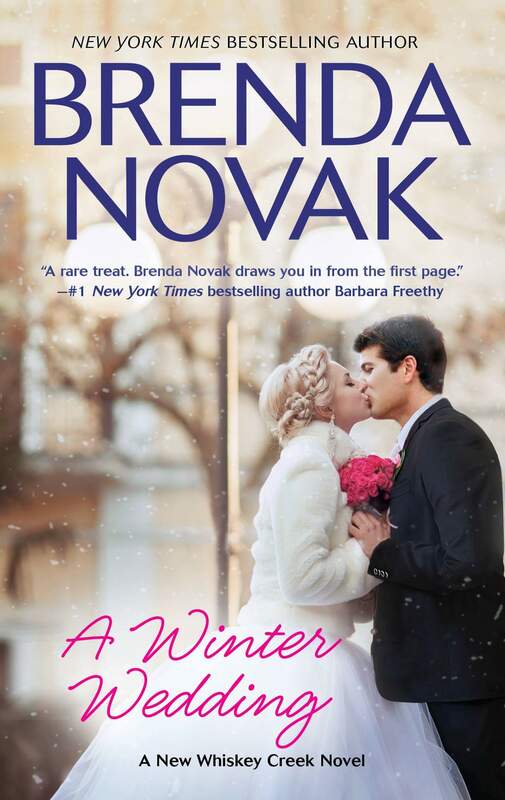 Novak writes a beautiful story of unexpected love and healing hearts. If you are a Whiskey Creek fan you’ll enjoy the usual humorous yet supportive interaction among the tight group of friends. I’ve been waiting for Kyle’s story and this one did not disappoint! 4.5 stars. It was a shocking experience that jump-started Brenda Novak’s bestselling author career. “I caught my day-care provider drugging my children with cough syrup and Tylenol to get them to sleep while I was away,” Brenda says. “It was then that I decided that I needed to do something from home.” However, writing was the last profession she expected to undertake. In fact, Brenda swears she didn’t have a creative bone in her body. In school, math and science were her best subjects, and when it came time to pick a major in college, she chose business.Abandoning her academic scholarship to Brigham Young University at the age of 20 in order to get married and start a family, Brenda dabbled in commercial real estate, then became a loan officer. “When I first got the idea to become a novelist, it took me five years to teach myself the craft and finish my first book,” Brenda admits. “I learned how to write by reading what others have written. The best advice for any would-be author: read, read, read….” Brenda sold her first book, and the rest is history.